VapeOnly vAir-T Temperature Control Coil, it applies Ni-200 material, for temperature controllable atomizers, as Aspire Atlantis/Atlantis 2/Atlantis Mega Tank Atomizer. Support upto 60W or 80W high wattage respectively to produce huge vapor in VW mode. 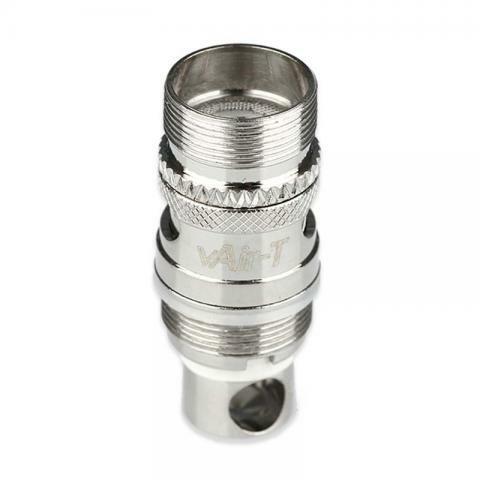 VapeOnly vAir-T Temperature Control Atomizer Coil, it applies Ni-200 material, for temperature controllable atomizers, as Aspire Atlantis/Atlantis 2/Atlantis Mega Tank Atomizer. Support upto 60W or 80W high wattage respectively to produce huge vapor in VW mode. Please note it can use only with devices capable of control coil temperature. VapeOnly vAir-T TC Coil for Aspire Atlantis Series has a high quality coil with different resistance. It is a made of 5pieces of replaceable high quality coils per pack.